To learn about creative color use in quilts, it is important first, to learn how to use your color wheel. This is a series of articles on Creative Color for Quilters. In this series we will discuss how to read the Color Wheel, the variations of the Pure Colors of the Color Wheel, the common color schemes and how to achieve them, the scientific color schemes based on the relationships between the colors, Value and it’s importance in quilting and finally the roles fabrics play in your quilts. Yellow, Yellow Green, Green, Blue Green, Blue, Blue Violet, Violet, Red Violet, Red, Red Orange, Orange, Yellow Orange. Do you notice a pattern in the names of the colors? Each color has a relationship to the colors around it. Let’s investigate! Read each color name starting with yellow and read in a clockwise direction. 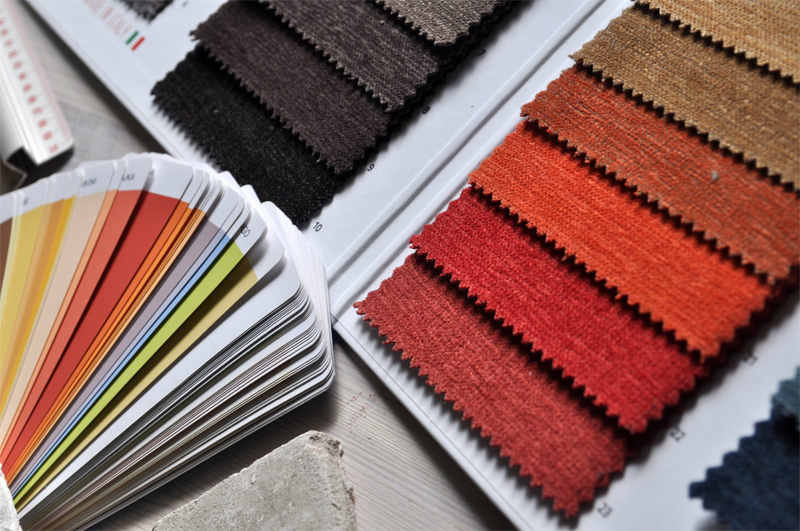 Listen carefully as you read these color names. They will give you lots of clues to the relationship between each of the colors. So the colors are: Yellow, Yellow Green, Green, Blue Green, Blue, Blue Violet, Violet, Red Violet, Red, Red Orange, Orange, and Yellow Orange. These are the 12 PURE colors of the modern day color wheel.These 12 pure colors are made up of Primary, Secondary and Tertiary colors. The PRIMARY colors are red, yellow, and blue. It is these three colors that from which all the other colors originate. On the wheel below, the primary colors are joined together with a red line. Notice where the three primary colors sit on the wheel. They sit equally around the wheel, with three colors between them. There are three SECONDARY colors on the wheel. When combining two of the primary colors, a secondary color will be produced. So let’s imagine that we have a palette of paint and we combine Red and Yellow. What color will be made? Orange. What if we combined Blue and Yellow? We will make Green, and if we combine Blue and Red we will make Violet.Here’s a vertical line of the secondary colors and how they are made. On the wheel below the secondary colors are joined together with a blue line. Notice where the three secondary colors sit on the wheel. They sit equally around the wheel, with three colors between them. 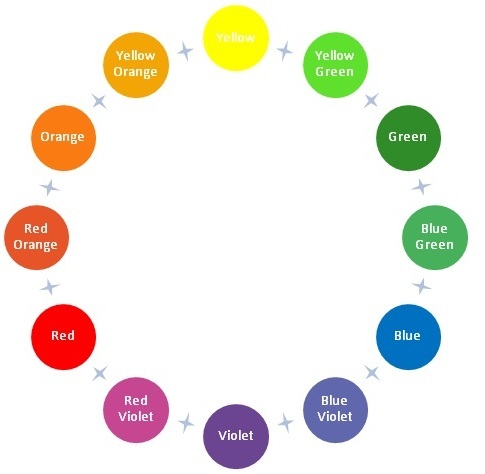 There are six colors left on the wheel and these are the TERTIARY colors. Interestingly, these six colors are given the name of each of the colors that sit either side of it. If you were to use your imaginary pallette, can you imagine if you were to mix one primary, let’s say red and mix it with one secondary color, let’s say orange, what color do you think you would create? Red Orange. It’s a no brainer. Every TERTIARY color is named after the colors that sit either side of it. So mix Violet and Blue and you get Blue Violet. And so on. Here’s a verticle line of the tertiary colors and how they are made. On the wheel below the six tertiary colors are joined together with a green line. Notice they sit in every second spot on the wheel. 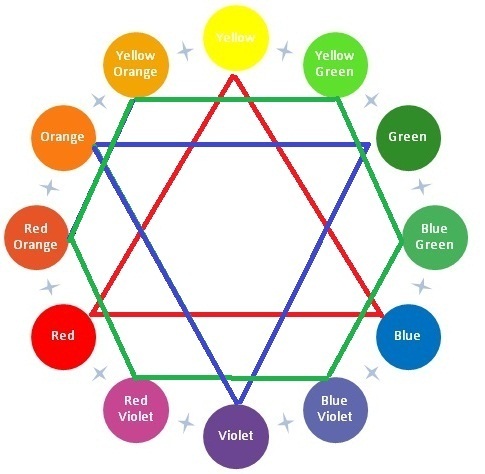 There you have it, the Pure colors of the color wheel. The Primary, Secondary and Tertiary colors and how they have a relationship with each other. In the next article I will be investigating the three variations of the Pure colors. These are called the Tints, Tones and Shades.